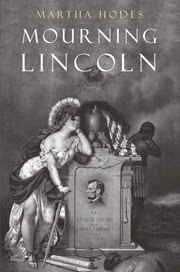 Martha Hodes is the author of the new book Mourning Lincoln. 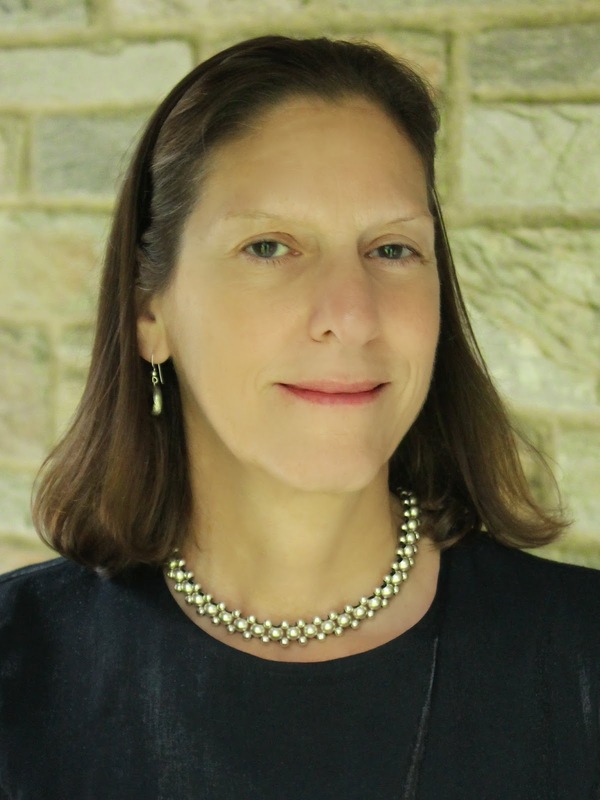 She is Professor of History at New York University, and her other books include The Sea Captain's Wife and White Women, Black Men. She lives in New York City and Swarthmore, Pennsylvania. Q: Why did you decide to focus in this book on how people mourned Lincoln, and how did you conduct your research? A: I wrote this book because I’ve been teaching the Civil War for 25 years, and I was in New York City on September 11, 2001. That--along with my awakened childhood memories of Kennedy’s assassination--led me to wonder: How did people respond to Lincoln’s assassination in ways that aren’t captured in public sources, like sermons, newspaper headlines, and official condolences. 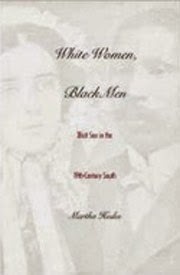 To research Mourning Lincoln, I read hundreds of diaries, letters, and other personal writings from the spring and summer of 1865, encompassing Union and Confederate, black and white, men and women, soldiers and civilians, rich and poor. Just about everyone who wrote a letter or a diary entry that spring had something to say about the assassination. Along with shock and grief, I found anger, fear, and glee. Q: You focus in particular on three people's reactions to Lincoln's death. How did you select these people? A: I open each chapter with the experiences of Sarah and Albert Browne, from Massachusetts, and Rodney Dorman, from Florida. I chose the Brownes and Dorman because they represent two ends of the ideological spectrum: ardent abolitionists on the one hand, and a diehard pro-slavery Confederate on the other. I also chose them because they offered a wealth of documents that allowed me to trace them from the end of the war into the summer of 1865 and beyond. 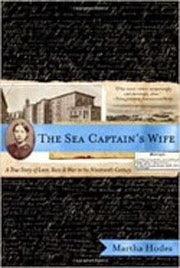 Sarah Browne faithfully kept a pocket diary, and since Albert was stationed down South, they wrote each other long letters. Rodney Dorman kept a massive wartime diary. Together, they illuminate the clashes over the nation’s future that followed victory, defeat, and the assassination. Q: How did public reaction to Lincoln's assassination compare to public reactions after September 11, 2001, and the Kennedy assassination? A: In the immediate aftermath of the Lincoln assassination, the bereaved wrote and spoke of “universal” mourning, feeling acutely that everyone, everywhere, was grieving. Of course that wasn’t true, since Lincoln’s enemies--notably Confederates, but also his northern antagonists--responded to the assassination with satisfaction. Now fast-forward to September 11. My memories of that day include a similar sense of universally shared grief and solidarity. But while I was writing Mourning Lincoln, I dug out the photographs I had taken as I wandered the streets in the days afterward. In the many signs that people had posted, I saw evidence of tension and conflict. Some called for peace, others for revenge, and people defaced signs they disagreed with. The same was true when Kennedy was assassinated: mourners felt part of something that seemed universal, but in fact conflict was present all along. At the same time, though, Lincoln’s assassination was exceptional because of the timing of the crime, coming as it did at the end of a four-year civil war. To Lincoln’s mourners, his death felt like the last casualty, but of course that wasn’t true either, since men were still dying from battlefield wounds and illnesses. Q: You write, "Best friend of the freedpeople or best friend of the Confederates, perhaps Lincoln had been both--or at least he had made it appear that way as the war came to a close." After Lincoln’s death, what did people read into his words and actions? A: Here was a great paradox. After Lincoln’s death, Confederates dwelled on his supposed lenience, imagining that he would have treated them with compassion in reconstructing the nation. At the same time, African Americans and their white allies fashioned Lincoln into a radical. They looked to the Emancipation Proclamation, and to the last speech Lincoln delivered, on April 11, 1865, recasting his rather mild call for black suffrage into something more definitive. African Americans and their allies also looked to Lincoln’s second inaugural address. In Mourning Lincoln, I make the case that black Americans understood the words "with malice toward none" and "with charity for all" as applying, not to the vanquished Confederates, but to themselves, as they advocated for black equality and citizenship. A: I’m currently book-touring, so I’m working on many different presentations of Mourning Lincoln to a wide variety of audiences, from high school students to academics, from Civil War buffs to patrons of historical societies, libraries, and book festivals. Beyond Mourning Lincoln, I’m in the midst of a series of coffee dates with writer and scholar friends to trade ideas on just that question. A: Mourning Lincoln is a story about a crucial moment in American history and politics, told through personal responses to a catastrophic event. Politics and personal responses, I came to see, could not be separated in 1865.